Randy Tibbits wrote an article guaranteed to get some artists' blood boiling. "MFAH and the Menil Are Depriving Us of Local Art" appeared in the April 23 issue of the Houston Press. The subtitle was equally blunt: "Houston museums should display some Houston art." Now this is a bit ironic since a few days after this article appeared, the Contemporary Art Museum opened a huge one-person exhibit of drawings by Houston art star Trenton Doyle Hancock. But Tibbit's point is still well taken. Even though the MFAH has a lot of Houston art in its collection, it only shows this art occasionally. In my experience, you'll find it in themed group shows. For example, last year's Calaveras Mexicanas: The Art and Influence of José Guadalupe Posada included work by Earl Staley and Trenton Doyle Hancock and Playing with Process: Explorations in Experimental Printmaking had work by Mel Chin. And of course every year they put on a show by the Core artists, who are artists who come and live in Houston for two years (and many over the years have stayed past their residencies and become important parts of the local scene--Sharon Engelstein, for example). Tibbit's article has a lot of problems. He weirdly dismisses photography: "I'm not counting photography, or the decorative arts in Bayou Bend's Texas room — those are fab, but different beasts from the big 'A' art at the MFAH main campus." But he is correct that neither the Menil nor the MFAH has any particular desire to show us the art history of Houston: "We rightly (though perhaps a little too often) give ourselves lots of credit for a vibrant contemporary art scene. There's art everywhere. The city is full of galleries and studios. It's no challenge to see art that's being made in Houston. But art that was made in Houston? Seeing that is almost impossible." The article includes a slideshow of some of Houston's earliest modernist art. This doesn't help Tibbit's case because the work shown is not that great--mostly of historical interest. After being energized by his righteously angry article, I was deflated by the lame art in the slide show (fortunately a couple of slides towards the end--a Richard Stout and a John Biggers--pep things up a bit). Tibbits has made a reputation for his interest in very early Houston art, including some excellent original research (see “Our Little Gallery” Of Abstract Art In Houston, 1938, for example) and curatorial work (Emma Richardson Cherry: Houston's First Modern Artist at the Houston Public Library in 2013), so the slide show reflects his interests as an art historian. Britt-Darby accuses Tibbits of shilling for CASETA, the Center for the Advancement and Study of Texas Art, an organization for which Tibbits is a board member. I don't think this is entirely fair (he doesn't mention CASETA in the article), and anyway, he presumably is a member of CASETA because he's interested in this kind of artwork. But the argument that a museum shouldn't lower its standards to show "local" work, which Britt-Darby makes ("The relevant period for the Menil spans roughly from the 1940s to the 1970s. What would Tibbits remove from the Menil’s walls to make room for David Adickes and Henri Gadbois? "), is a very serious one, one that has been used not just here but all over the world for decades. And it's one I'd like to argue against, because I think the premise is wrong. Museums have a lot of missions, and perhaps the most important one is to display good art--the best art, if possible. But the definition of "good art" varies over time and is ideologically fraught to boot. 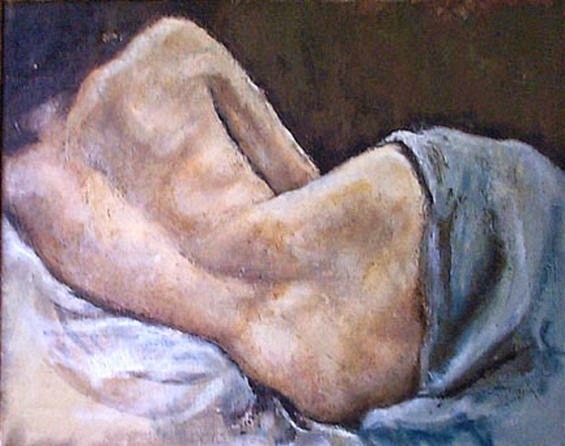 Western culture has spent the past 40-odd years coming to terms with the realization that its definitions of "good art" excluded art by women and by non-white artists; that aesthetic theories masked white supremacist ideologies. As Thomas McEvilley pungently noted, "Abstract art came to seem the ultimate self-delusion of Euro-Modernism, no longer to be viewed with a reverent gaze but with a knowing smirk. Malevich's Black Square became the flag on the masthead of the slave ship, flapping sinisterly in the breeze of history" (Thomas McEvilley, The Exile's Return: Toward a Redefinition of Painting for the Post-Modern Era , p. 6, 1993). So when someone makes an argument that we are excluding a certain class of art for reasons of "quality," I am suspicious. Furthermore, museums have a historical mission as well. Some of the art shown is shown not because it is by some measure "the best", but because it helps us understand a moment in time--a particular bit of art history or human history in general. 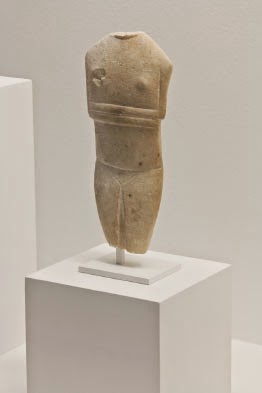 When I look at the Greek antiquities at the Menil, I don't see ahistorical aesthetic objects--I see remnants of a vanished civilization (several civilizations, actually) and the hands of artists and artisans who made practical and ritual objects that still manage to move us thousands of years later. The MFAH and the Menil are Houston museums, whatever else they are. And Houston has its own history, and that history includes a history of art. In order to explicate that history, these museums (and the MFAH in particular) would probably have to take down work on view now and replace it with work that was aesthetically inferior. I don't know how this would work. Britt-Darby seems to think such a move would "come at the expense of other American artists’ representation, not the Indonesian gold galleries or the European galleries, etc. ", but since we're talking about a purely hypothetical situation, I won't speculate. But the upshot would be that if the MFAH did something like Tibbits suggests, it would be doing something to address Houston as Houston. It would no longer just be an art museum that happens to be in Houston, it would be an art museum dealing with Houston and its art history. Perhaps this would be an intolerable expansion of the MFAH's mission. Perhaps it is naive and indeed provincial to think that because an art museum has "Houston" in its name, it should have any interest in the art history of Houston. But some institution should care. This history threatens to be swallowed up, tossed down into a memory hole, forgotten as its participants die. We let Houston history vanish every day, and that includes its art history. And the MFAH (and to a lesser extent the Menil) must shoulder some of the blame for that. Chris Sperandio's response to the article was to suggest that the Menil and the MFAH "open up project spaces in your institutions." I agree but only on one condition--that these spaces show not only contemporary local art but also put on shows of older local art. I think we need both, and in some ways, the need for the latter is more urgent than the need for the former.